We’ve found you a DIY project that we think you’ll really like: homemade personalized frames for pictures and mirrors. Our photographs and home decor are such a special part of our lives. Making the frames unique, specific to what goes in the frame is a lovely way to use your mad DIY skills! Best of all, this is a project that a DIY-er of any skill level can feel confident tackling. There are frames that a beginner can try, and also those for the more advanced too. One tip we will give you – if you are personalizing a frame with a family member’s or friend’s name and meaningful dates, its best to always double check them. You might call them by a nickname but be putting their full name on a frame. Or you want to be sure you have the exact date the baby was born on the frame. Double checking saves you that “oops!” moment – and also having to re-do the frame too! We think these make lovely gifts or simply to have your home be an even more welcoming place to greet loved ones. This is a great way for people to instantly get to know your family when they visit, and its an icebreaker that will prompt conversations about important moments that are meaningful to your family, such about a child’s recent graduation, a wedding anniversary or anything else that you’ve celebrated. If your eyes light up when you see your kids or grandkids, this is the personalized frame for you! Perfect for a gift too. Did your family just welcome a new baby? Add this frame to your home decor to show off baby pictures. Do you miss that special pet that is gone? Honor their memory with this thoughtful frame. Celebrating a wedding anniversary? Remember this special moment. Isn’t this sweet? The perfect personalized baby frame to give to Grandma. Want to make someone a photo frame? Try this one! Isn’t this sweet? A picture frame especially for a baby girl. 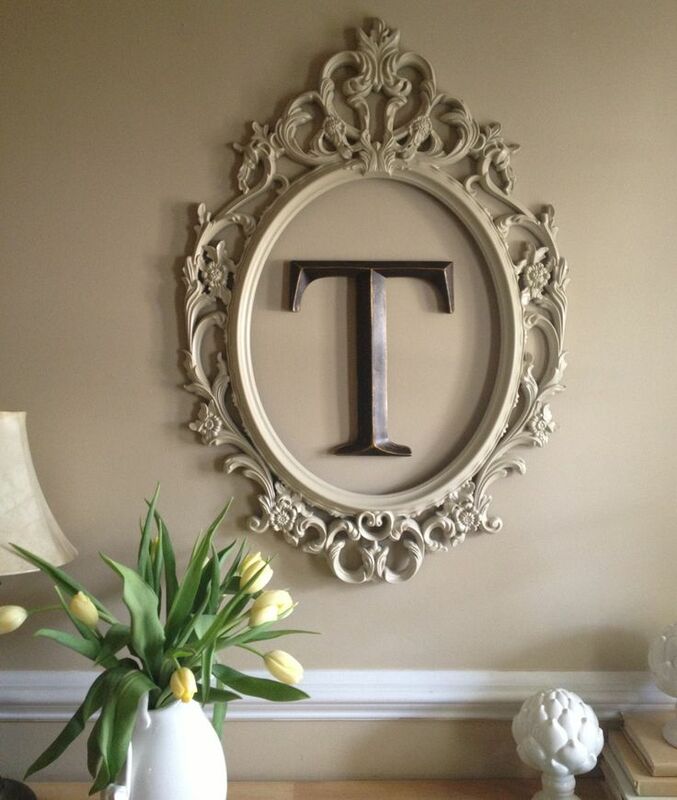 Want a great monogram for your girl’s room? Try this fun DIY. Are your parents celebrating their 50th wedding anniversary? Look at this lovely picture frame. Isn’t this adorable? Perfect for twin babies on the way. Celebrating a wedding anniversary? Look at this lovely frame to remember it by. Looking for a great gift idea? Try this DIY picture frame. The prom is so much fun! Remember it with this special frame. Isn’t this cute? Perfect for twin boys. Want a large personalized mirror? DIY this one with a vintage window. Isn’t this charming? Such a lovely personalized frame. Is your daughter celebrating her quinceanera? Here is a lovely frame to remember this special moment. Love monograms for home decor? Try this great DIY. Love your Aunt? Give her a special picture frame. Want to remember your time at prom everyday? Look at this great picture frame. Want a tray for your cosmetics that is personalized? DIY this one. Here’s a great DIY project to try. Perfect for a beginner. What a sweet frame? Perfect to give your spouse or sweetie. Isn’t this charming? A fun personalized frame DIY. Is your child graduating? Get this lovely frame. Don’t toss your old picture frames. There is so much that you can do with them. Remembering a special pet friend? Here is a lovely frame to treasure these moments. Love personalized frames? This one makes the perfect gift for a new couple. Love monograms? Try this DIY frame. Love the rustic look? Try this DIY personalized frame. Love monograms? DIY this mirror. Celebrate the day your family first began. Here’s a lovely picture frame to display. Love your pet? This is a very sweet ornament frame for them. Love monograms? Try this DIY. Want a monogram picture frame? Here’s a simple DIY project for you! Here’s a unique personalized DIY picture frame. Its also a key hook too! Here is an adorable mother & child picture frame. With a classic saying about loving your child. Love monograms? This is perfect with glass or perhaps a mirror behind it too. Isn’t this lovely? Perfect to share your wedding date.